This bright and interactive series is guaranteed to grab children's attention and help to develop fine motor skills. A fun and engaging introduction to the interesting and important forms of transport, children will love interacting with these forms of transport, children will love interacting with these books and spinning the cogs. Spin the wheels & go on a journey with the dump truck! Read along and watch its busy day unfold. 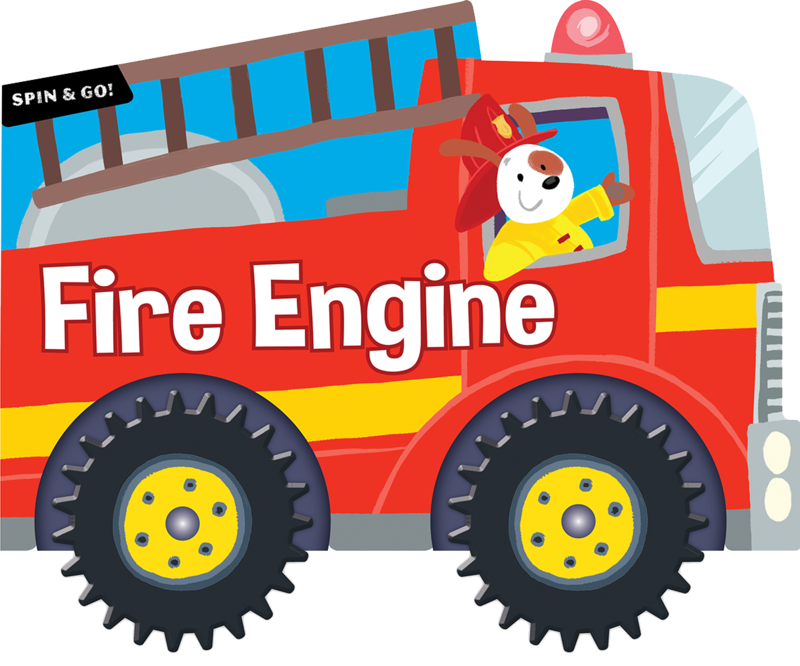 Spin the wheels & go on a journey with the fire engine. Read along and watch its busy day unfold. Spin the wheels & go on a journey with the steam train! Read along and watch its busy day unfold.